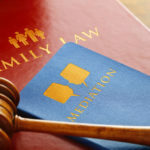 When you are in the middle of a divorce with custody issues appearing at the forefront of your problems, you may find that it is sometimes difficult to agree on certain matters. You may find yourself fuming while decisions are made or wondering if your child is being taken care of by the other parent. However, sometimes these feelings must be put aside for the sake of your children and court. It helps to have a better understanding of the things that you should never do when you are involved in a custody battle. Representing Yourself: Custody litigation can get costly and complicated very quickly, which is why you should never handle it on your own. 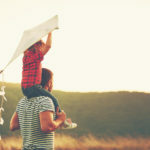 When you decide to handle a custody case all on your own, you could make critical mistakes that affect your case’s outcome, which could mean detrimental changes for you and your family that could have been avoided. You should also be sure that your attorney has the utmost experience in dealing with custody matters above all. Lying: In some cases, parents will lie to attempt to receive a better outcome in court – however, lying to the court never brings good results. If the judge catches you in the middle of the lie, your credibility will be impacted. You should never lie to anyone in the process, including yourself; be sure of what you want and honest in your decisions. Violating Orders: If you violate your order, the judge will not forget it. You should always take matters to court when you believe it warrants it, instead of settling things for yourself. This could only reflect poorly on you. Keeping Silent: If you do not understand any part of the process, it is okay to ask questions. Sometimes, litigants will keep quiet about matters that are bothering them and will receive unnecessary anxiety as a result. Cutting Off the Other Parent: Judges appreciate when parents have made efforts to keep the other parent in their child’s life. If you abuse visitation rights or refuse to allow your ex-spouse to visit the child, you could lose rights. Show the judge that you encourage the relationship with everyone in your child’s life. Coaching Your Children: Children will sometimes be involved in the court process, which means that the court may interview the children. You should never fill your child’s head with talking points or lies. This could have negative consequences for both the child and your case.